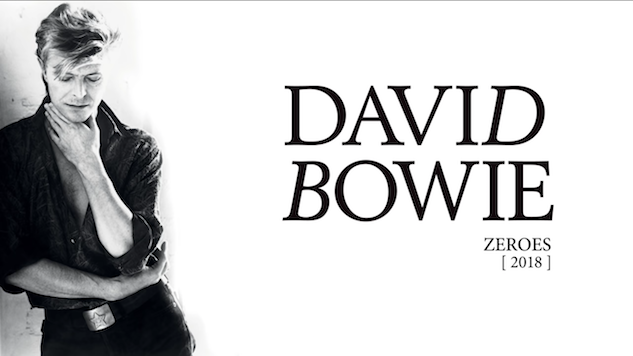 Listen to a Revised Cut of David Bowie's "Zeroes"
Last week, news circulated that the fourth in a series of box sets chronicling David Bowie’s massive (though sadly cut short) career will arrive Oct. 12. A collection of live albums, reworked cuts and even Bowie film memorabilia, Loving The Alien focuses on the years 1983-1988. On Monday, the Bowie archives let loose one of the reworked tracks from the collection, “Zeroes,” which is originally from 1987’s Never Let Me Down. Listen to the trimmed down, reworked track below. Among Loving The Alien’s sprawling contents are a new version of Never Let Me Down and a previously unreleased live album, Serious Moonlight. The box set can be purchased as 15 vinyl LPs or 11 CDs. Loving The Alien is truly a vast collection, so for a complete track listing and detailing of what’s included, visit the David Bowie website. “Zeroes (2018)” is a little more sparse than the original, folding in acoustic elements while maintaining the track’s kooky sitar action. The 1987 version is a little showier, in typical Bowie fashion, but the 2018 version is smoother and shines a spotlight on Bowie’s voice more than anything else. Again, you can listen to it below. In other Bowie news of the week, a former bandmate found a long-lost copy of David Bowie’s first ever demo recording in … a bread basket. There’s more on that wholegrain surprise here. After you’re done checking out the new cut, don’t miss Paste archives recordings from a 1976 Bowie show, which you can listen to below.